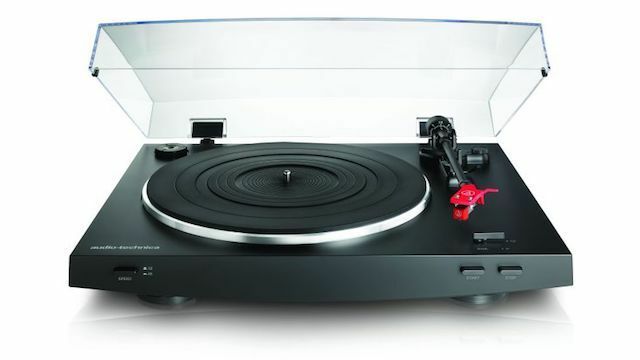 Audio-Technica is positioning its new AT-LP3 turntable and as the second turntable you’re going to buy. You know, after the cheap one from HMV that Father Christmas delivered in 2015. The £200 AT-LP3 was given a debut at CES 2017 last week and the company emphasises the balance between great sound quality and price, featuring some characteristics from higher-end systems. The perfect example of this is the balanced straight tonearm that gives greater flexibility you don't typically find in entry-level turntables. The damped-based construction reduces low-frequency bass feedback, while an aluminium platter and 4.5mm thick rubber mat function as anti-vibration materials. The AT91R Dual Moving Magnet cartridge uses a lightweight aluminium alloy tube cantilever to pick up more subtle details in your tracks. You can also upgrade cartridge types and experiment with different sounds. You’ll be able to start spinning records on this affordable system in March 2017.